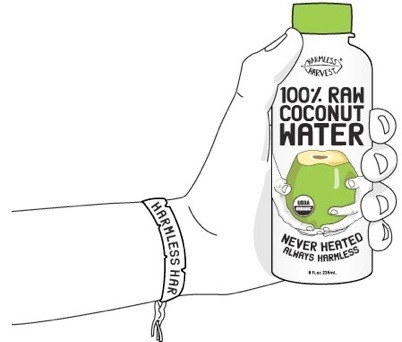 Harmless Harvest Coconut Water Hits Stores TODAY! Starting today, you can sample and buy Harmless Harvest Coconut Water in your local Whole Foods store*. I had the pleasure of trying some today, and it was delicious! The product’s clean, refreshing taste is a direct consequence of the company’s philosophy, which sets a high standard of well-being for both the supply and the client (you). There are no additives, and it’s a very homegrown operation that I feel excited to support. Further, it fits into a larger portfolio of Harmless Harvest products and agroforestry innovation. Go pick some up, and I’m sure Justin, one of the lovely founders pictured below, would be thrilled to hear from you. *Right now, you can only purchase this product in New York, New Jersey, and Connecticut Whole Foods stores, but it will be nationwide later this fall.